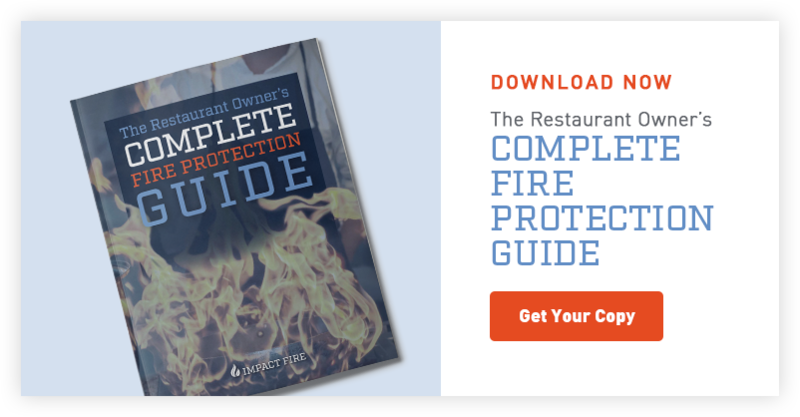 Whether your restaurant’s suppression system is brand new or has been active for years, here is what restaurant owners need to know about fire suppression system inspections. NFPA codes require that kitchen fire suppression systems be inspected by a trained and certified technician ever six months. Not only does this help ensure that your system is in peak operating condition, but a certified professional will have access to genuine replacement parts as well as up-to-date manuals and knowledge. The standards applicable to automatic dry- or wet-chemical fire-extinguishing systems also contain cylinder inspection and testing requirements. Cylinders for dry chemical kitchen hood extinguishing systems must be examined every 6 years to check for caking, and hydrostatically tested every 12 years.Cylinders for wet chemical kitchen hood extinguishing systems must be hydrostatically tested every 12 years. While it is required that a trained and certified technician inspect your system every six months, the restaurant owner or kitchen manager should perform a basic visual inspection every month. If your kitchen fire suppression system goes off for any reason, it’s time to call in your fire protection company. It’s important to make sure your system is properly recharged, your electricity and gas are turned back on, and you can get back to serving your customers as quickly as possible. If there is any damage to the system, repairs will need to be completed before the cylinders can be refilled and the system recharged. Be sure to always keep this documentation on-hand to maintain compliance with codes and insurance requirements. When your top priority is serving the best possible food to your guests, the last thing you want to worry about is the condition of your fire suppression system. Avoid the hassle by partnering with a fire protection company that handles all the details for you, from tracking your inspection records to completing repairs and maintenance. That way, you can focus on doing what you love—running a remarkable restaurant!